GAM supports the Corporate, Mining, Group, freight and VIP Travel Sectors. If you are looking for FIFO (Fly-in-fly-out), Corporate Air Charter or Engineering Services we can help you right away. 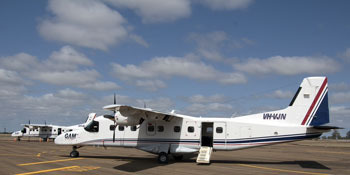 When experts in mining and exploration want safe, cost effective aircraft charter transportation they come to GAM. Getting your staff to work on time to remote locations is our top priority, and we are very good at it. GAM’s 99% on time performance record is one that we are proud of, as we always make sure that our clients arrive on time. You can rely on our team to make your booking and flights easy for you. We ensure that you fly exactly when you need to, you do not need to wait for scheduled flights. Chartering one of our aircraft means that you can land at all regional airstrips and large airports across Australia. Your freight will arrive on time and safely with GAM. We have got your needs covered, with our 20 years of freight logistics experience we are an aircraft company that you can trust with all of your freight needs. We have engineering teams in Brisbane and Melbourne who are right there when you need them. GAM is a one stop shop for aircraft maintenance and repairs with our in house speciality shops and our team services over 30 different aircraft types. We are specialists in all of your requirements including Instruments, Avionics, Engines, Structures, Hydraulics, Painting and Interior Refurbishments. When it comes to our clients, GAM’s top priority is your safety. Our safety systems and processes are best in class and are fully compliant with the global OGP standards, resulting in an impeccable FIFO safety record. We can organise a very competitive quote for you very quickly. Just call or email us now so that we can help you. Operating what is widely regarded as one of the most well maintained GA (General Aviation) fleets in Australia, GAMair’s decades of experience and workforce of talented professionals are unwavering in commitment to your comfort and safety. Approved by Flight Safety to operate to stringent Oil & Gas Production aviation standards, you can rest assured your valuable assets or loved ones are in the safest of hands. GAMair are a one stop shop for all your maintenance needs. With extensive facilities and specialist in-house knowledge, projects from scheduled maintenance, repairs & rescues, refurbishments, re-weighs, hydraulics, Instruments/Avionics and a range of other tasks are completed to the highest standards with minimal downtime. GAMair have a proven track record of maintaining a fleet of commercial charter aircraft contracted to fly year-round. 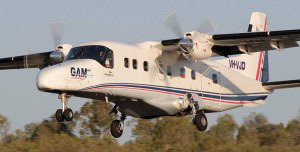 GAMair own and operate 27 twin-engine aircraft ranging from commuter airliner, turbo-prop light business twins and cost effective piston aircraft. Permanently positioned at four locations, Melbourne, Brisbane, Adelaide & Bankstown and flying weekly into regional aerodromes across their respective states, additional aircraft can be positioned to wherever you need them to be in relatively short time. Need help in a hurry? Have a GAM Group consultant call you to discuss your needs right away.